Not sure what kind of mask is right for you? Call us at 1-866-298-6482. 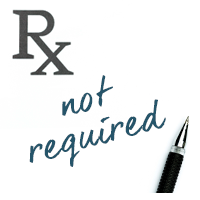 Our team of trained professionals can help you make the right decision based on your needs. They can even tell you whether your insurance will cover the cost of your CPAP equipment and if it's covered, we can handle all the paperwork! 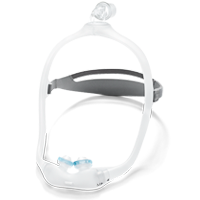 Read more about choosing the right CPAP mask on our blog. The correct CPAP mask is vital in ensuring the success of your sleep therapy.This is why the size, fit and comfort of your mask is so important. Try a CPAP Mask risk-free: If the style you choose doesn't fit properly or you aren't sleeping comfortably, your sleep therapy needs won't be met. We're here to help you with any questions that you have about your treatment. Give us a call to ask about our 30-day mask guarantee and how it can help you find your perfect match! 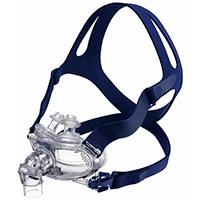 There are some types of CPAP masks that suit some people better than others, which can make finding the perfect mask for your needs difficult. We understand this, so we have handy resources that can help you make the right decision. 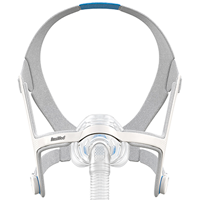 Get started with this guide on choosing the right CPAP mask. 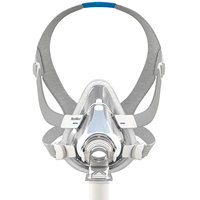 Browse our complete CPAP mask selection to learn about the features, benefits and advantages of the different mask styles. Use the "Add to Compare" feature to compare the masks that you’re interested in. You’ll see that not only do you have a choice when it comes to brand, but you can also select features that you want in a mask such as cushion type, headgear fit, portability, and much more. 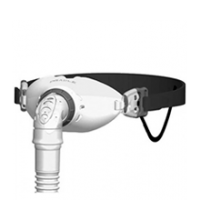 You want to get the best sleep possible and your CPAP mask is an important part of this experience. If you are having trouble choosing a mask, don't hesitate to ask us any questions you might have along the way! Call a CPAP expert at 1-866-298-6482 to get started on the path to better sleep.